Can you believe I have gone 6 weeks of these posts without posting a photo of London? That Thing In The Distance: As you all know, Big Ben is not the name of the clock tower. It is the name of the bell inside the clock tower. The clock tower use to be known as just the “Clock Tower” (very original) but in 2012 for the Diamond Jubilee of Queen Elizabeth II it was changed to the “Elizabeth Tower”. Visitors to London will not be able to hear Big Ben until 2019 due to renovations. Apparently it was causing the workers a whole lot of headaches! Red – The Colour of London? 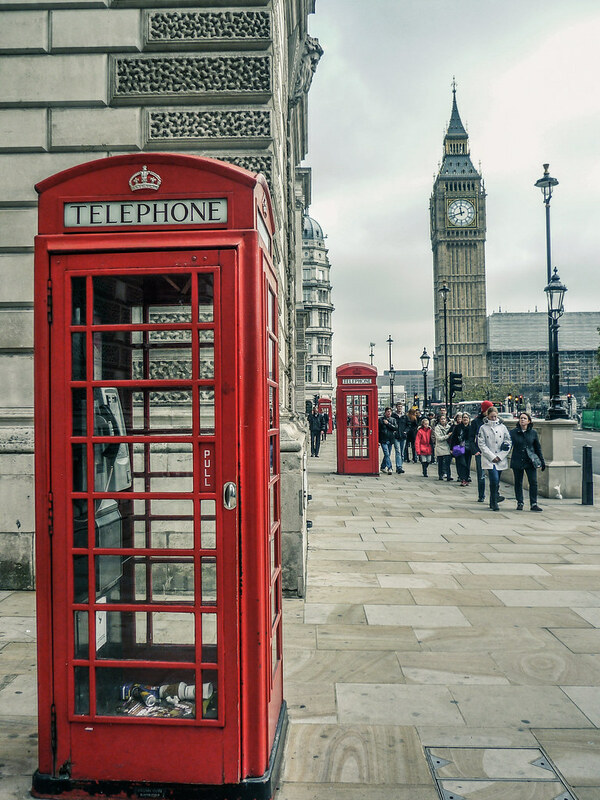 : With the iconic red phone boxes and double-decker buses, there is a lot of red in London. What I love about this is that you can take some pretty cool photos and then enhance the red to make them even more awesome. The photo above is a result of me editing the photo so that the background is kind of a little duller and making the red stand out more. Oh My London: I think it’s pretty safe to say that I kind of like London. I can remember the very first time I knew I loved this city, and I hadn’t even seen any of it! I was on the Piccadilly Line heading from Heathrow into central London. I was with my sister and our niece, who was living in London and met us at the airport. I remember sitting on the famous Tube and just thinking how comfortable I felt. It is a feeling that has continued to grow each time I visit London. Final Thoughts: There is just something about walking down the street in a city on the other side of the world and taking photos of such iconic items such as a red London phone box and one of the most recognisable clock towers in the world. This photo remains one of my favourites seven years on because it represents for me so much of what I love about London and why I keep going back trip after trip. Yeah I know what you mean. I was quite shocked when I heard to be honest. I get it but still shocked! Surely he could still go on weekends or something? London is truly picturesque and stunning, Sarah! When’s the best time of the year to go there?